The vector stencils library Office is included in the Business and Finance solution from Illustration area of ConceptDraw Solution Park. Use it to quick draw illustrations, diagrams and infographics for your business and financial documents, presentations and websites. Mac compatible remote presentation, A simple way to share your presentation remotely via Skype. All participants receive presentation file. 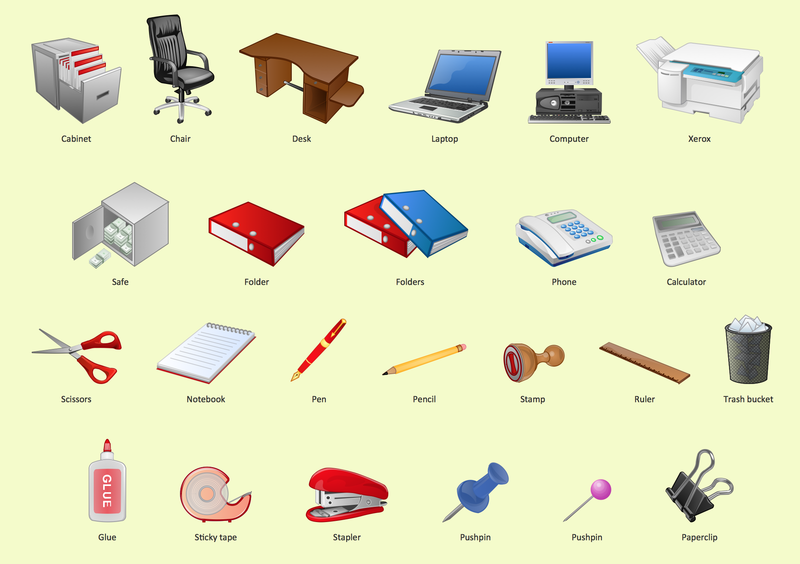 Business People Clipart - Business and Finance solution from Illustration area of ConceptDraw Solution Park. Use it to quick draw illustrations, diagrams and infographics for your business documents, presentations and websites. The vector stencils library Business People Clipart includes 12 images. ConceptDraw DIAGRAM v12 is a best business processes modeling software for graphical documenting processes of the company. ConceptDraw has 142 vector stencils in the 8 libraries that helps you to start using Diagramming Software for designing own Business Process Diagrams. The vector stencils library Rail transport contains clipart of railway transport for ConceptDraw DIAGRAM v12 diagramming and vector drawing software. Use it to draw illustrations of trains and transportation of passengers and goods by railroads. Nowdays business people’s figures are most favourite vector illustrations among presenters and designers. It is easy to make them and use, but they can make your graphics look really good looking & eye catching. Just check ConceptDraw business perople figusers pictures, you will see all kinds of silhouetes: Staff, Employed workers, Persons and Groups symbols. Best popular vector pictures are: men, dancing people, business man. Use human contours wise and it will help you to tell main idea of your design message.